A vehicle’s mileage represents the total distance it has covered. This is an important value used for estimating fuel usage and costs. The results help in assessing a car’s overall efficiency and performance. These evaluations play a role in determining the resale value of a vehicle. On the other hand, keeping a track of mileage is also important for business and official use. Mileage record is vital for requesting reimbursements. Employee benefits often cover fuel costs. In addition, fuel charges for any trip taken for business purpose are also covered by the employer. There are also businesses which are completely based on a mobile workforce. These include private couriers and caterers. In this case, it is highly important to maintain a proper mileage log. Fuel costs are a part of investment for such businesses. Failure to record the mileage may lead to mismanaged overhead costs. For other businesses, the use of company cars is tracked through a mileage log. It prevents misuse and makes employees accountable for any personal usage. 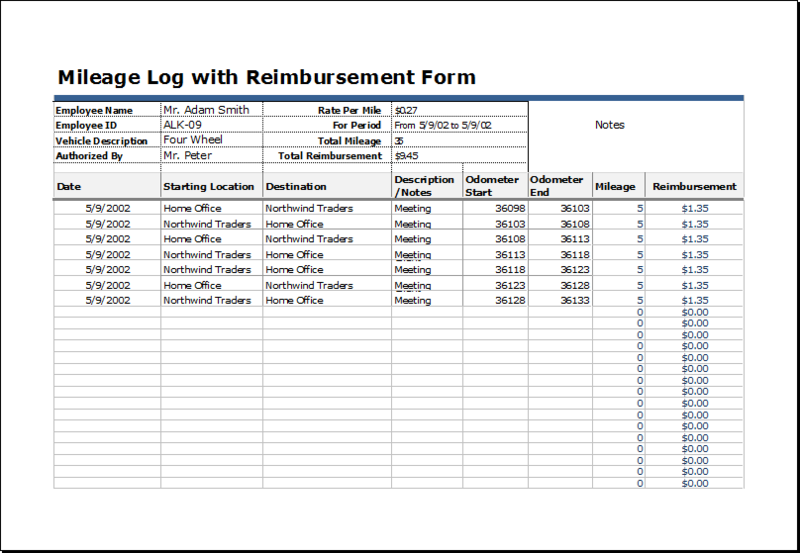 The data recorded in a mileage log plays the key role in filling out a reimbursement form. However, first, it is necessary to identify the difference between personal and business mileage. A failure to do so results in inaccurate mileage records. It is also common to create an incomplete report. This is due to unawareness about the detailed contents which are an essential requirement for a perfect mileage log. As a result, companies often face losses in terms of extra charges on their account. On the other hand, an employee may also suffer incomplete reimbursement. Owing to these reasons, business owners are now turning to automated solutions for recording accurate mileage data. A reimbursement form can be accepted only as long as it represents absolutely perfect data. Manual records cannot be completely reliable. There are several other options available instead. Advanced technologies have been developed in order to organize this system. This eliminates inaccuracies as well as misuse and manipulation. The online world offers a large number of templates for mileage logs. Data can be organized in the form of a computerized record.